Those of you who live in the North West will be able to relate to me when I say ‘WHEN WILL IT STOP RAINING? !’ Outfit photos had to take place indoors as we’ve had rain and wind that my hair did not agree with. I just got back from a couple of days in London with work, and a 6.00am wake up call following by the busy tube and a two hour train journey called for comfy clothes. 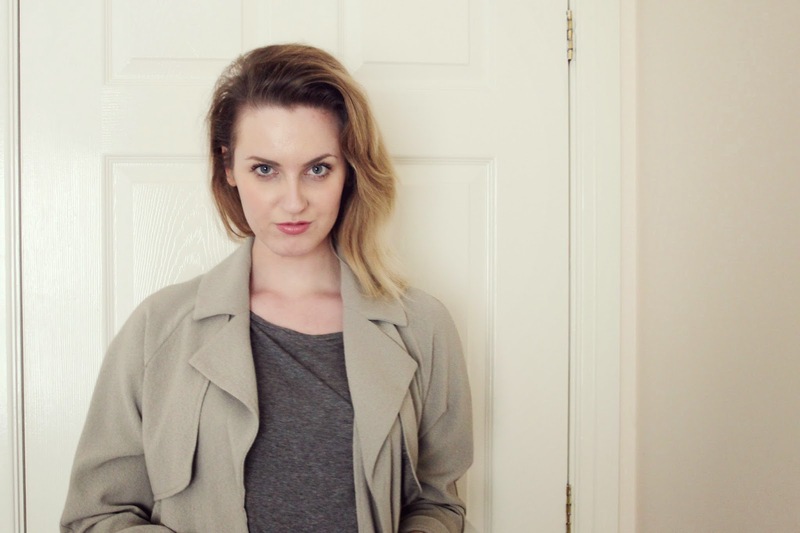 I’ve practically lived in my new Warehouse duster jacket since I bought it earlier in the week, as it’s great to smarten up any look and perfect for work, plus it looked great with my new favourite trousers from Blue Vanilla. 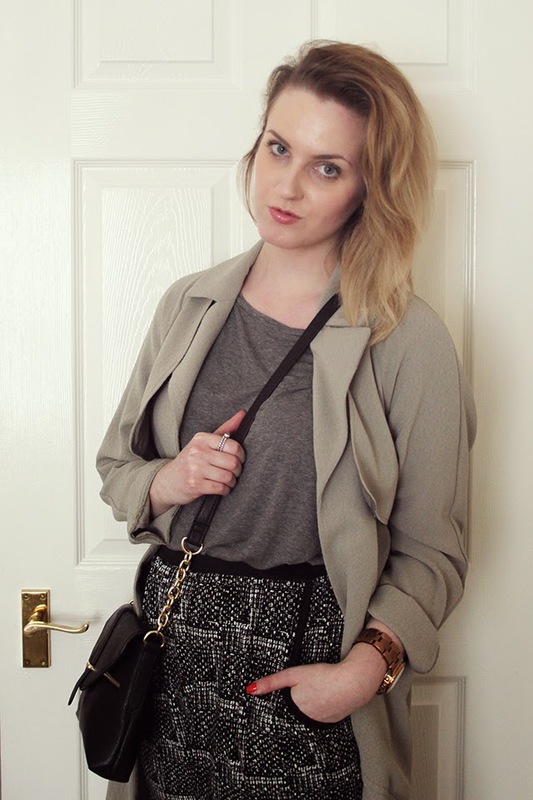 They are seriously the softest, most comfortable trousers I’ve ever worn, and I love the cinched ankles that make them feel a little more ‘dressy’. I can see these being a firm favourite of mine as they will be great to take from day to night with some clever styling. I’m off to spend the rest of the evening catching up with some rubbish TV, treating myself to copious amounts of chocolate and relaxing after a busy week! 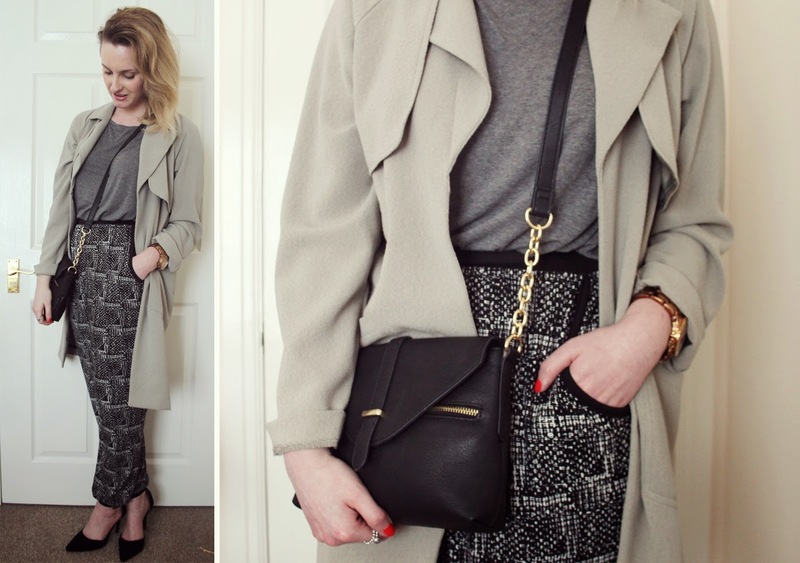 What’s your favourite outfit to wear to go from day to night? 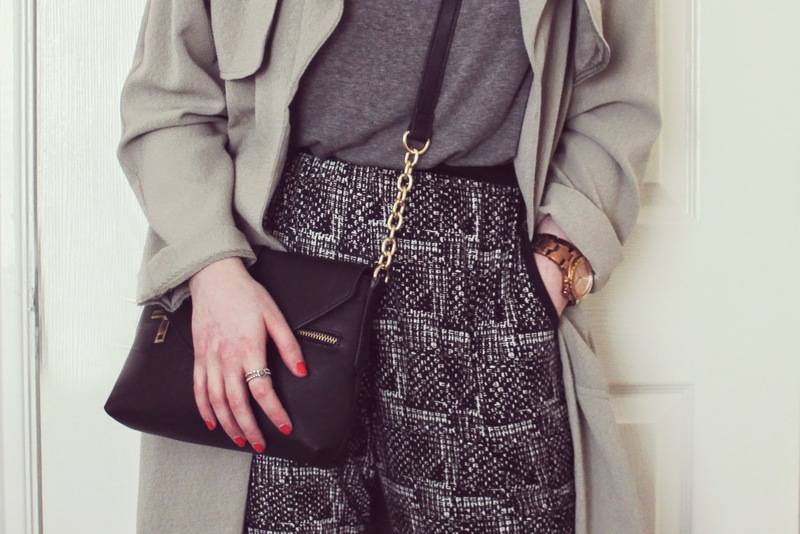 Have you braved printed trousers? "GORGEOUS GIFTS FROM FLAMINGO GIFTS!" 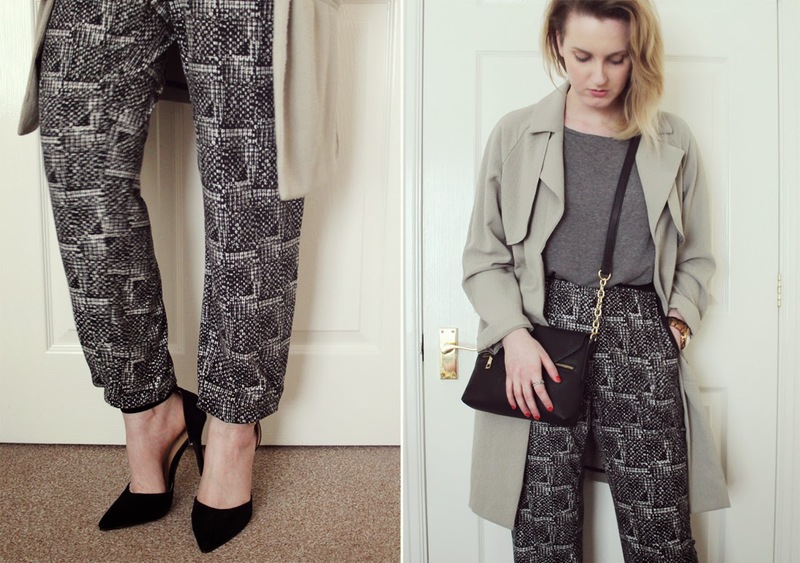 Such a cute outfit and I love my comfy printed trousers and it's so much fun to style them. Hope the weather gets better for you.